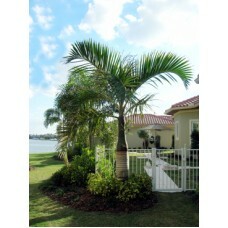 A well-known and much-loved tropical palm with a spindle-shaped, swollen trunk and stiffly ascending, pinnate leaves. The Spindle Palm is fast growing, making it ideal for the tropical or frost-free subtropical garden, or as an attractive indoor specimen for a brightly lit spot. A well-known and much-loved tropical palm with a spindle-shaped, swollen trunk and stiffl..